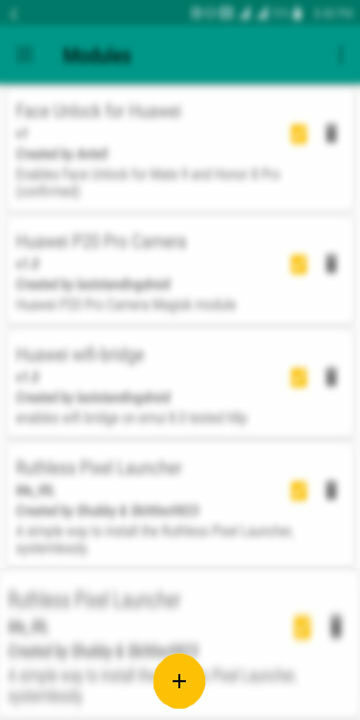 Ever since Google first announced Night Sight at the Pixel 3 launch event, we’ve been seeing the feature getting leaked around and ported. It was available for the Pixel 3, Pixel 2 and the original Pixel even before it officially launched for the Pixel 3, let alone the other Pixel devices. Soon, quite a few other non-Pixel devices such as the Essential Phone got a working port too. The OnePlus 6 and OnePlus 6T also got their taste of a Google Camera port with Night Sight. The Xiaomi Poco F1 and the Xiaomi Mi 8 followed. 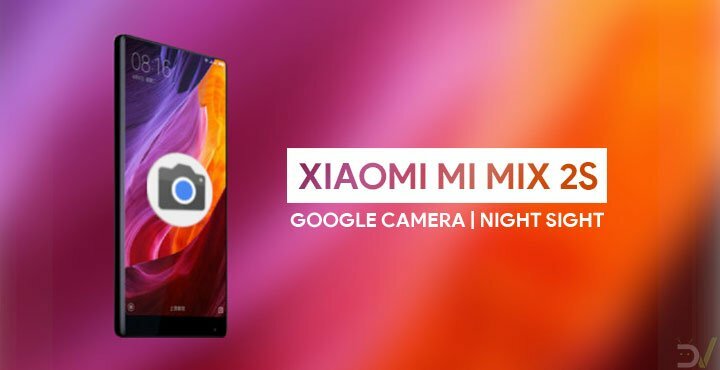 You can now add another Xiaomi device to the list of devices that have received a working Google Camera port with Night Sight. This time it is the Xiaomi Mi Mix 2S. However, the method to get Night Sight working on it isn’t as straightforward as it was on the other devices. The only reason this Google Camera port even works on the Mi Mix 2S is the new MIUI 10 closed beta that was launched for the device. Xiaomi is bringing over some features from the Mi Mix 3 to the Mi Mix 2S with the new MIUI 10 closed beta. The closed beta already includes Xiaomi’s implementation of a night mode but we’ve seen before, it is tough to beat Google’s Night Sight. Somehow the new update also fully supports Google camera without any issues, unlike previous versions of MIUI. The sad part is that this is only possible on the latest version of closed beta in China. Surprisingly, it is a Chinese developer by the name of Lenzhang who has found a way around this. His Magisk module can allow users to try Google’s Night Sight on the MIUI 10 Global Stable. Using a Magisk Module obviously requires the presence of the Magisk systemless framework. Needless to say, your Mi Mix 2S will have to be rooted. We’ve already published a guide on how to root the Mi Mix 2S that you can check out if your device isn’t rooted. 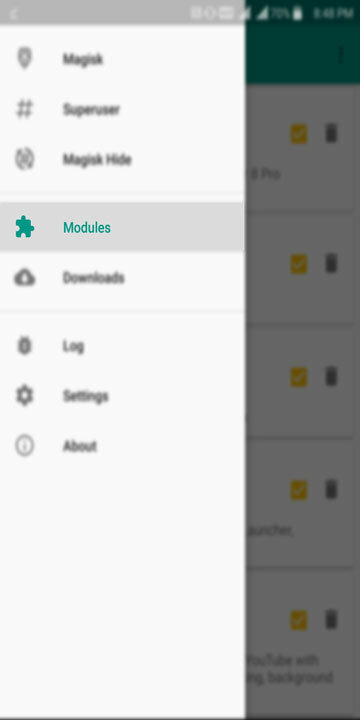 Download the Magisk module linked above to your device. Launch Magisk Manager, pull the side menu drawer by swiping from the left edge of the screen or tapping the hamburger menu button in the top-left and head over to the Modules section. Tap on the yellow + button at the bottom and select the downloaded magisk module, named camera.zip unless you changed it. Once the module is installed, tap the REBOOT button and let your device reboot. In case you’re wondering, the module simply adds the camera library of the latest MIUI 10 China closed beta to your MIUI 10 Global Stable ROM. Download and install the ported Google Camera APK on your device just like you would install any other APK. The camera port linked above is, in fact, for the Xiaomi Mi 8. Because the Mi 8 and the Mi Mix 2S use the same camera hardware, and the magic of the magisk module, any port that works on the Xiaomi Mi 8 will also work on the Xiaomi Mi Mix 2S once the module is installed. For now, some features like slow motion video and 4K video recording at 60fps don’t work. Everything else such as the HDR+ and Night Sight work though.